Together we will indulge in action to make the world a better place. If you are Motivated, Energetic, Goal orientated and a Team player then MIS is the right place for you. We are looking for outstanding team of international mentors who are open-minded and believe in the philosophy of IB and CIE, who have strong passion for teaching and love children like their own. 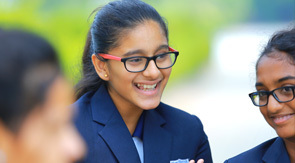 Why Join Manchester International School? "Studying at Manchester is like a dream come true because it gives me an opportunity to learn what I am exactly thinking to pursue. The campus is lively and filled with chances to fulfill my goals. The teachers are not only friendly but also practically driven. The staff members also care for the future career of students and organize many university visits throughout the year. Manchester is the best IGCSE school in Coimbatore. "